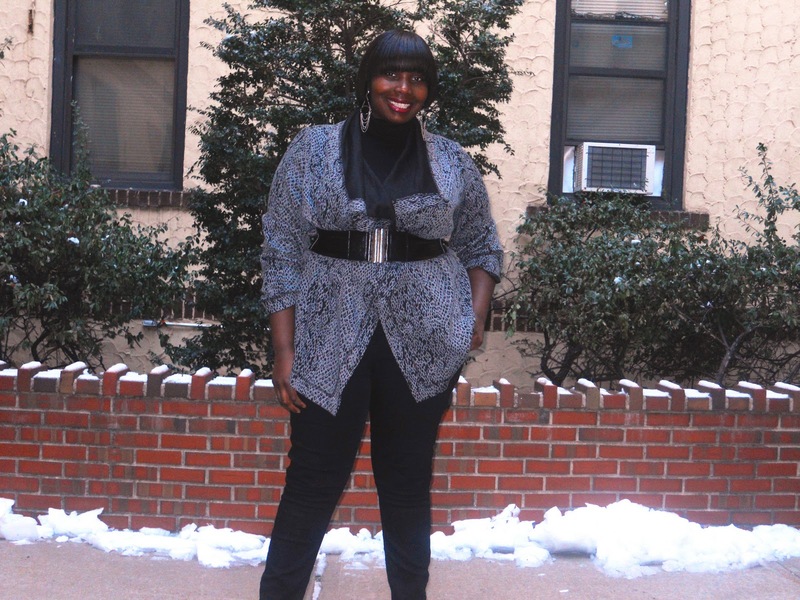 This weekend I wanted to keep things casual but still look put together. 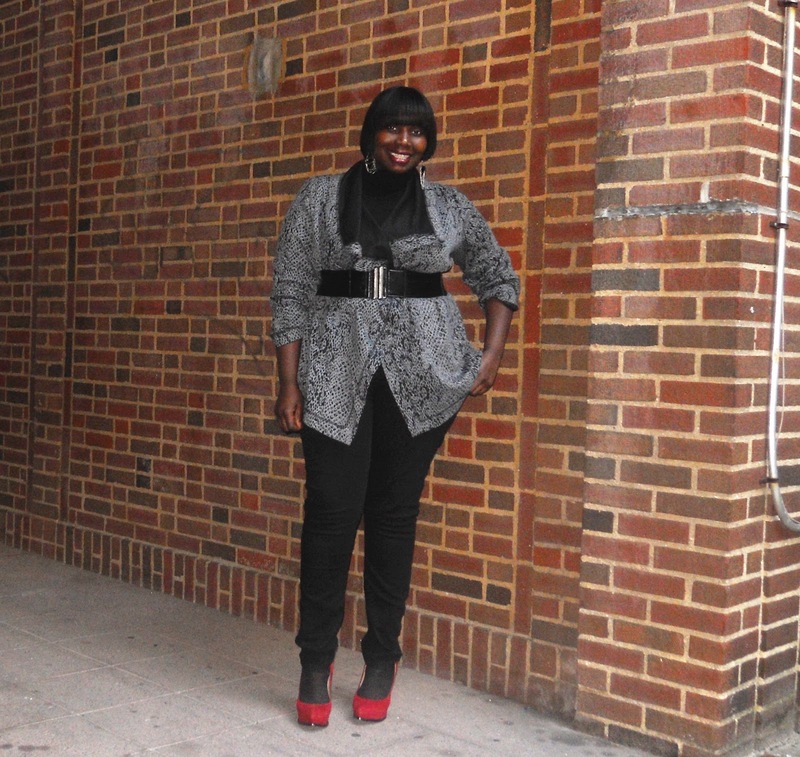 I decided to pull out my Calvin Klein waterfall animal print cardigan that I got on sale at Lord and Taylor last week. The cardigan is actually a little too big but it’s nothing that a belt couldn’t fix. I layered a black turtleneck under it so that I would stay warm. As I said last year, Calvin Klein’s fall 2010 collection was one of my favorites. 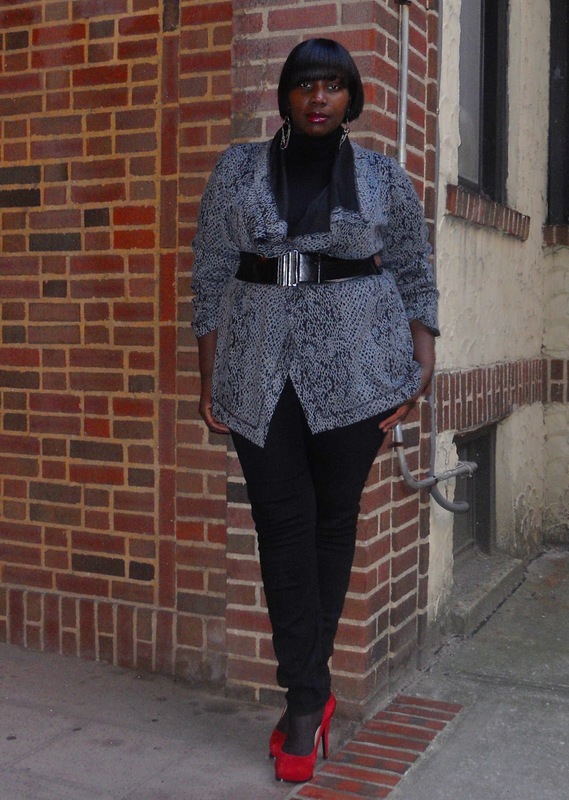 It was perfect cuts and prints that any curvy girl would want to wear young or mature. The cardigan is very versatile. It looks just as good open as it does closed. I will be wearing it to work this week over one of my dresses. I am a crazy earring fanatic. I love big earrings or earrings with unique detail. 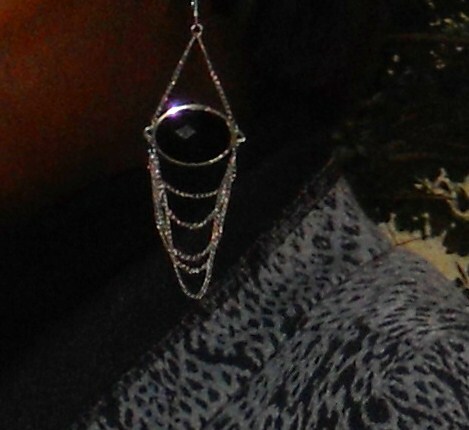 I scored these earrings at Strawberry’s and I love the onyx stone and the draped chains around it.